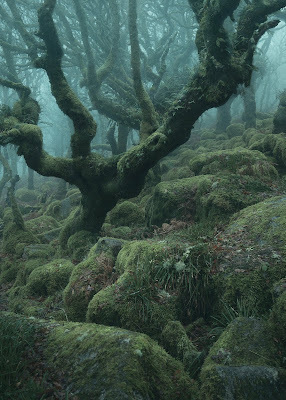 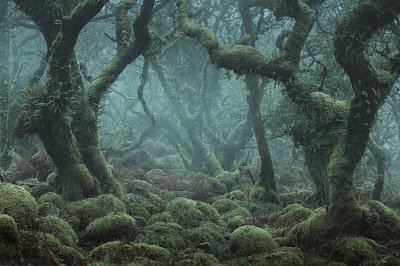 Wistman's Wood is an oak wood on high, wind-blasted ground in Dartmoor, southwestern England. 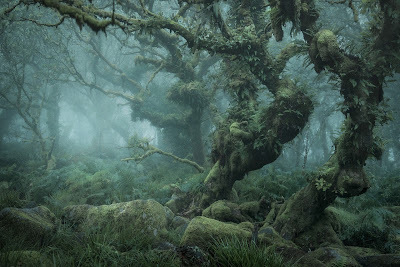 Some botanists think it is a remnant of Britain's ancient oak forests, but on the other hand none of the trees are particularly old, so it is possible that it has all grown up since the 16th century. The moss and ferns have gotten denser over the past century as the climate has gotten warmer.